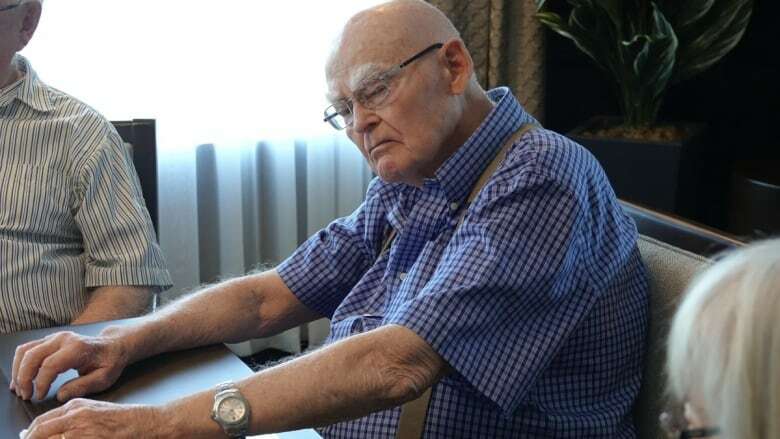 "Lots of social activities in residential care homes, they might be a lot of fun," Renate Ysseldyk, a Carleton professor who heads the study, told CBC Radio's Ottawa Morning. "They might be satisfying in the short term, but it's difficult to get to know each other at a deeper level. So a food snack can be satisfying and delicious, but it's hard to sustain yourself on snacks. It's a lot healthier to sustain yourself on meaningful relationships." Residents might have a hard time socializing and making deep social connections for many reasons, including being new to the home and feeling shy, grieving over lost loved ones, or feeling embarrassment about mobility issues or cognitive loss. Some might also simply be out of practice. 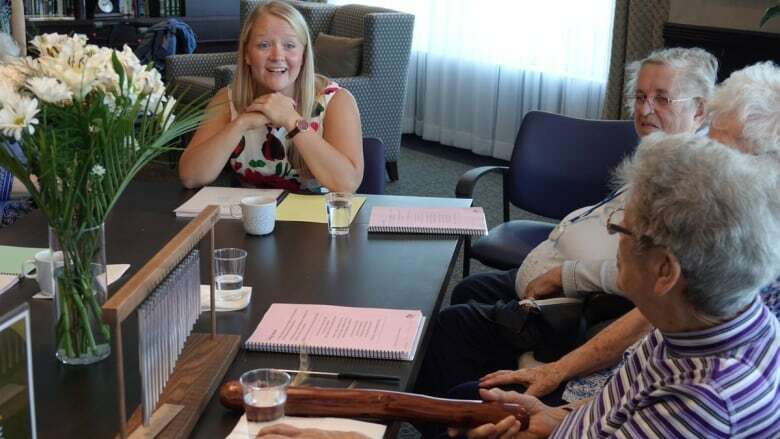 When residents arrive for the group at Riverstone's Stirling Park Retirement Community in Nepean, they're handed song books with familiar tunes such as Amazing Grace. "All these songs here are all familiar ones ... from a kid growing up when I heard them on the radio, you know, and then driving in the car as a young person, and to see them written here. This brings back memories," said Jack Boyd, one of Stirling Park's residents. "I enjoy it. I enjoy the people," said Bernice Blackwell, another resident. "I enjoy talking about the music from way, way back." But the songs are only one part of experiment. Integral to the group are weekly themes, offering group members a chance to talk and share their experiences. One recent theme was mothers. Each person talked about their mom and their sometimes complex relationships. Ysseldyk called the deep conversation a breakthrough. Researchers haven't done mid-point surveys or any cognitive tests to measure whether the groups are making a difference, but say they see their hypothesis working. Connie Wu, a Carleton masters student, watched one woman come into the home after an illness. She didn't know anyone and was becoming isolated, but then joined the Java group. "You can notice the real change in her," Wu said. "She went from not saying anything, not singing along, to now she's singing along. She knows everyone in the group and she's getting out. She's going to other activities." Being open and sharing thoughts and experiences, such as the conversation about mothers, is what really matters in the group, Ysseldyk added. "Music is a part of it, but it's not really what it's about," she said. "It's about the social cure. It's about using that as a real medicine here."